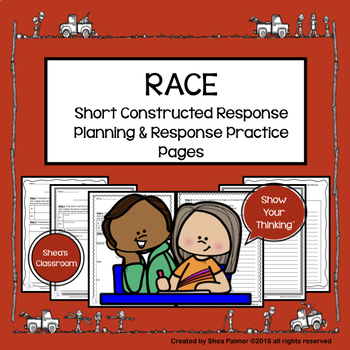 Use these RACE writing strategy practice pages to easily guide your students through the process of planning and writing short constructed responses. 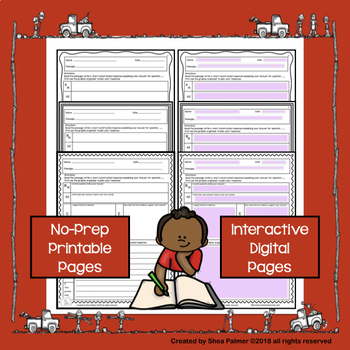 Practicing with these pages teaches your students how to lay the foundation for a well developed constructed response. These activities also allow for differentiation. First, you can differentiate by choosing the text and questions that you want to use. 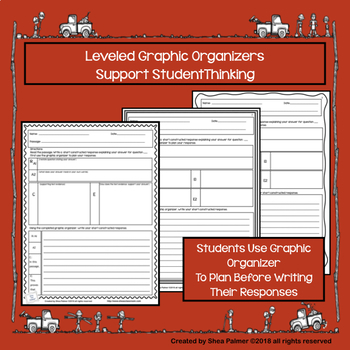 This easily allows for differentiation by leveling the text and questions that your students use. Next you can provide differentiation by choosing the RACE planning page that your students use to plan & write their response. 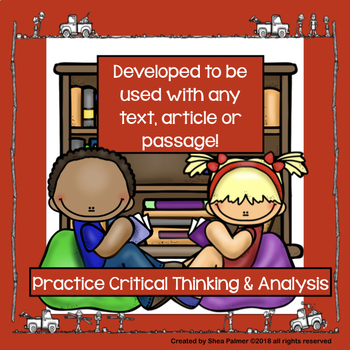 *Use interactive, fillable text fields to record student responses. Fillable text fields become interactive when pdf is opened using any pdf reader. Remember that leaving feedback earns you credits towards FREE TPT purchases! Also, receive notification when new products are uploaded by following me. New products are always 50% off for the first 48 hours they are posted! Thank you for purchasing this product! Please don’t hesitate to contact me if you have any questions.